A Kansas Outfitter since 1996, Hunt Hickory Creek is located in Southeast Kansas and offers some of the best trophy whitetail deer hunting you will find anywhere in the United States. We lease multiple ranches in Kansas - ranging from 400 acres to 7,700 acres. Having such a vast amount of land reduces hunting pressure and provides an optimal hunting experience. Looking for a Trophy Whitetail Deer Hunt? 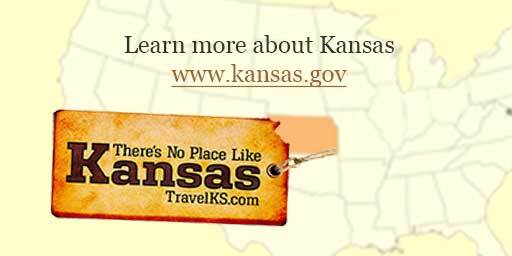 Kansas is one of the best states in the United States for Trophy Whitetail Deer! For several years, almost all hunting magazines or TV shows, talk about Kansas being one of the hottest trophy whitetail deer areas in the world. 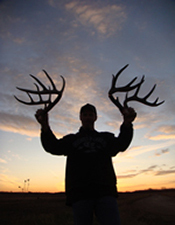 Many experts believe the next world record trophy deer will come from Kansas. 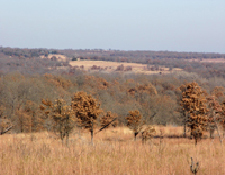 During your guided deer hunt with Hunt Hickory Creek, you will be guided through our farmland in Kansas. With 34,000 acres, and a limited number of hunters per week, our ranches have minimal hunting pressure. We are constantly scouting to keep on top of new deer patterns and rutting activity. With more than 400 hunting stand locations to choose from, our guides are prepared to make on the spot decisions due to wind direction and deer movement. We think that being flexible and not over hunting our stands give you the best chance at harvesting your deer of a lifetime. Every year we get hunters from across the United States that are on a quest to harvest a Rio Grande Turkey. Some are looking to complete their Turkey Grand Slam others are just interested in hunting a different sub species. Whatever your goal is Hunt Hickory Creek can make it happen! We lease 30 different ranches in 3 different counties that harbor good numbers of these elusive birds. 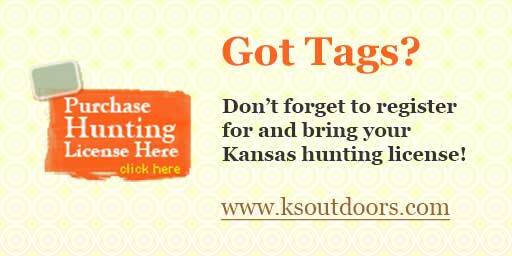 Kansas has a 2 month turkey season, so I'm sure we can accommodate your schedule. Youth, Archery, Firearm a season for every hunter! 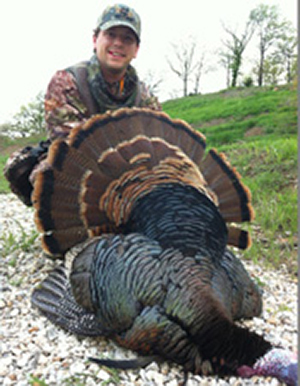 For more info on our season dates and rates please visit our Kansas Turkey Hunting page. Our farms in Kansas vary in terrains with fertile farm land to heavy timbered draws, to open pastures and tree choked fence lines. Creek bottoms lined with White Oaks or a occasional persimmon grove. Black jack covered hill tops or scattered cedar thickets, just about every thing a deer hunter dreams of. Bottle necks bring the deer in for bow shots from 15 to 30 yards. Or more open shooting opportunity from 50 to 250 yards for the gun hunter. 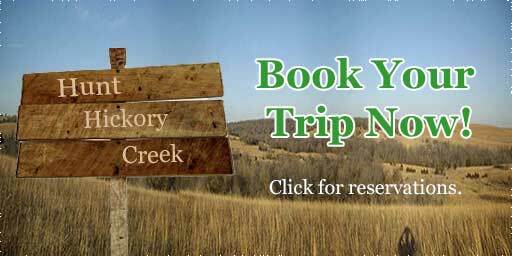 For scenic pictures of our Kansas land, check out Hunt Hickory Creek Kansas Farm in the Trophy Room.